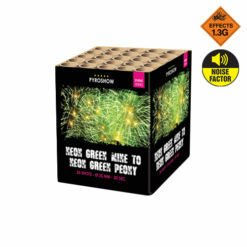 Take your garden firework or village display to the next level. 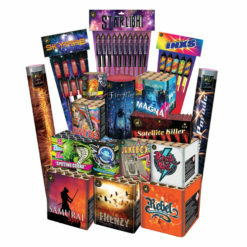 With our Professional Effect Firework Range. 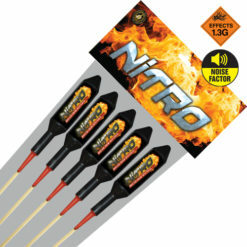 As a result of our years performing professional firework displays. 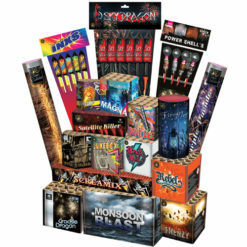 We have created a range of fireworks. Especially for the consumer that offer professional quality and effects. These Pyro Show cakes will give you big effects, vibrant colours and big bursting fireworks. 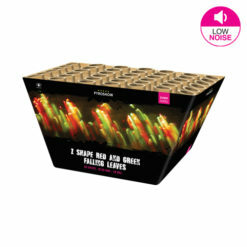 Make your display stand out from the crowd. 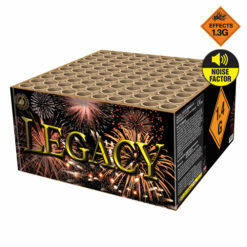 Within our range, you will find a mixture of single effect cakes and barrages. 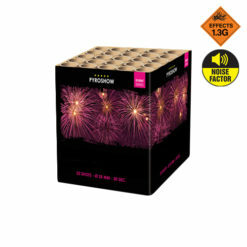 This allows you to provide preselected colour sequences within your fireworks show. From brilliant brocade crown to neon green peonies. Not to forget our bright blue and punchy pink peony cakes. Which are ideal for gender reveal parties. 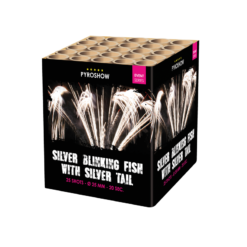 And to complete the range we have some stunning and clever low noise fireworks contains silver blinking fish, red and green falling leaves. Lastly our silver butterfly cake. 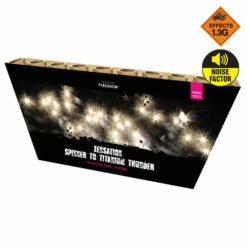 We have also included in the Professional Effect Range a stunning cake slice. An instantaneous fan of spinner tails to thunder. An exciting piece for opening your display.